The U.S. Food and Drug Administration recently approved topical ivermectin for the treatment of rosacea, which once it is approved in Canada— ivermectin will add another therapy that we can prescribe to our patients for the treatment of rosacea, says Dr. Ben Barankin, co-founder of the Toronto Dermatology Centre. Topical ivermectin affects the Demodex mites that are present in the pilosebaceous units of patients with rosacea. There has been literature on the Demodex infestation responding to an oral formulation of ivermectin and topical permethrin, but little on the use of topical ivermectin. The approval of ivermectin was based on Phase III trials, where ivermectin 1% cream was compared to vehicle. Findings showed that there was a statistically significant difference favouring patients who used ivermectin 1% in the percentage of patients who were clear or near clear at 12 weeks of therapy. Extension studies of the trials conducted to evaluate long-term safety of ivermectin saw patients treated with vehicle switched to azelaic acid 15% gel. Data also demonstrated that there was a decreased incidence of related adverse events with ivermectin compared to azelaic acid 15% gel, and no patients receiving ivermectin 1% cream discontinued either study because of a related adverse event. Investigator global assessment ratings supported ivermectin 1% cream as a therapy that can be used for the long-term in the treatment of papulopustular rosacea (J Drugs Dermatol Nov.1 2014; 13(11):1380–1386). One of the attractive characteristics of topical ivermectin is that it has a lasting effect beyond therapy, observes Dr. Barankin. “It seems to have properties that remit the condition,” he says. Dr. Melinda Gooderham, a dermatologist, medical director of Skin Centre for Dermatology in Peterborough, Ont., and a clinical trial investigator, agreed that the benefit with ivermectin use appears to extend beyond treatment. The availability of brimonidine tartrate is a “good option” for patients who have rosacea and seek a topical therapy to treat background redness before specific occasions, explains Dr. Lisa Kellett, a dermatologist and medical director at DLK on Avenue in Toronto. The results with the therapy have been somewhat mixed, notes Dr. Kellett. One retrospective investigation from Korea, which included patients with rosacea who were naive to laser therapy for their rosacea, found that the use of intense pulsed light (IPL) to treat erythematotelangiectatic rosacea may be more effective in patients who have moderate to severe disease and in patients less than 40 years of age (Annals of Dermatology Aug. 2014; 26(4):491–495). Indeed, Dr. Barankin notes that telangiectasia may “become more prominent” with the use of brimonidine since it may be masked by the background redness of rosacea. The vasoconstrictive effect of brimonidine is temporary, with the breakdown of brimonidine causing vascular blood flow to return to normal, but data suggest that 52-week use of can produce a sustained reduction in erythema. “There may be potential for chronic improvement of rosacea [with the use of brimonidine],” points out Dr. Barankin. Adverse events reported with the use of brimonidine include erythema worse than baseline, popularly described as a “rebound” phenomenon, flushing and burning. Just as sunscreen should be applied evenly, correct application of brimonidine is necessary to achieve a desired result. Patients can find apps on their mobile devices that can instruct them on the correct application of brimonidine tartrate. There has been a “paradigm shift” in the treatment of rosacea, with the recognition that it’s a chronic disease, according to Dr. Barankin. Even with treatment choices like brimonidine and modified release [sub-antimicrobial dose] doxycycline and emerging treatments like ivermectin, proper skin care is crucial to preventing rosacea flares, says Dr. Ian Landells clinical chief of the Division of Dermatology for Eastern Health, medical director (dermatology) at Nexus Clinical Research in St. John’s, N.L, and clinical associate professor in the Faculty of Medicine at Memorial University in St. John’s, has found that counselling patients with rosacea about good skin care can sometimes be sufficient for rosacea management. Dermatologists need to ask patients about their use of sunscreen, for patients with rosacea may report that their condition worsens with sunscreen, and if chemical sunscreens are being applied, their experience is supported by evidence, explains Dr. Julia Carroll, co-director of Compass Dermatology in Toronto. Dr. Carroll also suggests her rosacea patients use gentle cleansers and stay clear of soap. “Soap is a dirty word for rosacea patients,” she says. A therapy that Dr. Carroll prescribes off-label for her older patients with rosacea who do not experience a great deal of inflammation is low-dose isotretinoin. 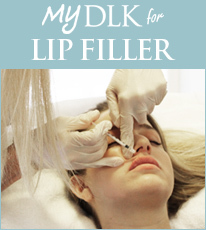 “It shuts down the rosacea pathway,” says Dr. Carroll. Rosacea is typically regarded as a condition that affects patients who are fairer in complexion, but patients of colour can also experience rosacea. 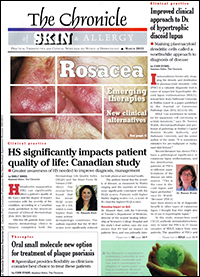 A U.S. investigation looking at the prevalence of rosacea in skin of colour found patients of colour rarely receive a diagnosis of rosacea even when they possess symptoms of the condition (Dermatology Online Journal Oct. 15 2014: 20(10)).